Refinishing your metal can add life to your office furniture. 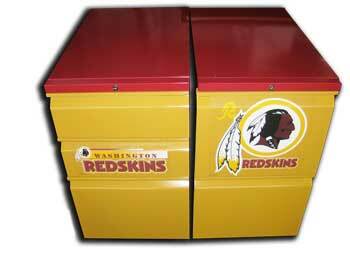 To the right, ElectroKote refinished a 2 drawer file set in team colors. Then stickers were added to give it the final touch. Customize your office space and show your team spirit.